Gallery Espace has played a vital role in identifying and supporting some of India’s most famous artists. Here’s all you should know about this prominent art gallery. 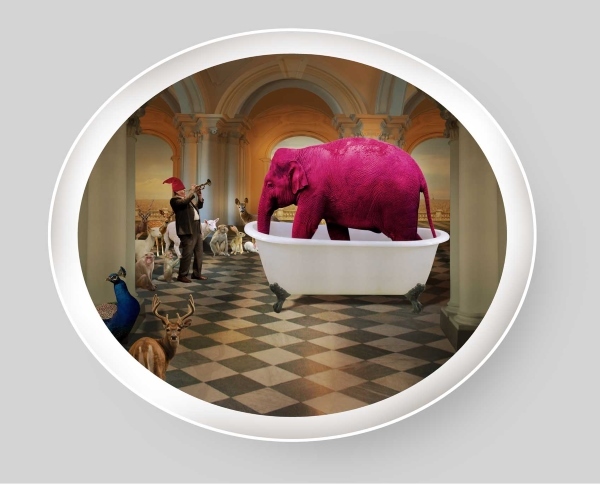 Pink Elephant in a bathtub by Manjunath Kamath. Digital Print on Archival Paper. Size: 12 x 10 inches. Year 2015. In 1986, M.F. Hussain designed a unique sculptural installation for Renu Modis’ house, which inspired her to take a keen personal interest in art. She founded Gallery Espace in 1989 in New Delhi, India, and interestingly the first ever exhibition there displayed autobiographical works of MF Hussain. This exhibition on works by the most renowned artist of Modern India and one of the founding members of the ground-breaking Progressive Artists Group started the gallery off on the path of success. On 5th August, 2016, this gallery will be travelling to Ashok, a five star property in Chanakyapuri, New Delhi, for a luxury exhibition titled ‘The Good Life by Lifespice.in’. They will be presenting some remarkable works of art here including Pink Elephant in a Bathtub by Manjunath Kamath, E.P: Extended Play 18 by Karam K. Puri, Nova by Mekhala Bahl and Chintu by Chintan Upadhyay. The Gallery has come a long way from the time when art exhibitions were limited to informal efforts. Gallery Espace showcased some of the definitive works of the decade in the 1980s. These included works of artists like Jagdish Swaminathan, Manjit Bawa, Krishen Khanna, Bhupen Khakhar and Vishwanadhan. Chintu by Chintan Upadhyay. Oil & Acrylic on Canvas. Size: 24 x 24 inches. Year: 2011. The early and mid 1990s saw a revolution with Espace focusing all their efforts on anticipating trends, scouting for fresh talents and providing a launching platform to a lot of unknown talents in those days such as Subodh Gupta- Group Show (1991) Solo Show (1993); Ashim Purkayasta – Young Contemporaries (1995), Solo Show (1999). All these names are now regarded as the most creative artists of the current generation. Espace was home to among the first curated exhibitions in the Indian art scene and provided a way for top art commentators and journalists to translate their ideas into an artist shared pictorial vision (Drawing ’94, Sculpture ’95, Mini-Print ’96, Kitsch Kitsch Hota Hai ’01, Bronze ’06). In its long journey towards becoming a renowned entrepreneurial establishment, Espace has collaborated with some of the top institutions in India. Gallery Espace has been led by the vision of their Director, Renu Modi. She has always been eager to represent artists who focus on dealing with modern-day problems and express concerns of the contemporary world through their work. Her artistic vision was way ahead of its time and she paid no heed to preconceived notions and theories of the art movements of the past, making way for fresh experiments and contemporary art exploration. Nova by Mekhala Bahl. 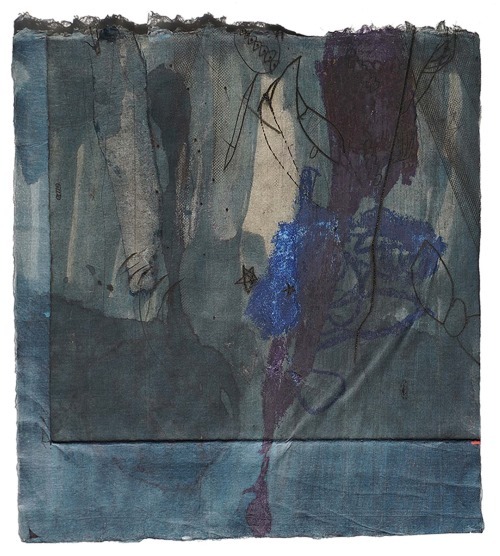 Etching, Collage, Ink, Lead on Paper. Size: 11×10 inches. Year: 2015. What had started as a one board-room space has become one of the most influential galleries in India. Today, Espace is a three-tier area in New Delhi’s New Friends Colony. The gallery has been created in such a way as to enhance the quality of interaction, experimentation and understanding of the arts, finished with a dynamic design and advanced technology. Please visit galleryespace.com for information on their ongoing and upcoming shows. Tagged Art, Indian Art, LifeSpice, The Good Life Luxury Exhibition, The Pad. Bookmark the permalink.